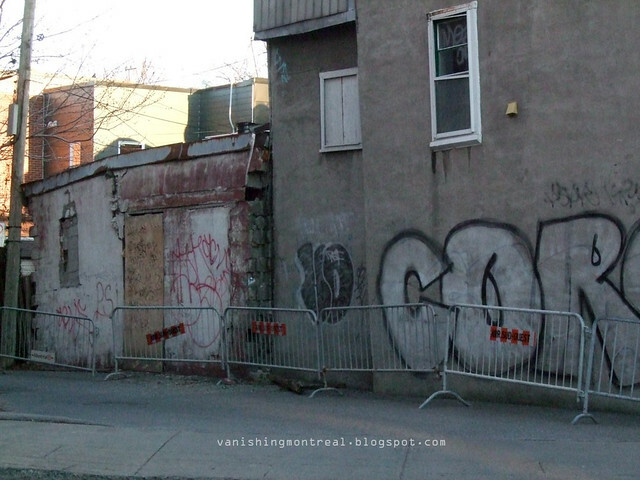 Four condemned building in St-Henri. 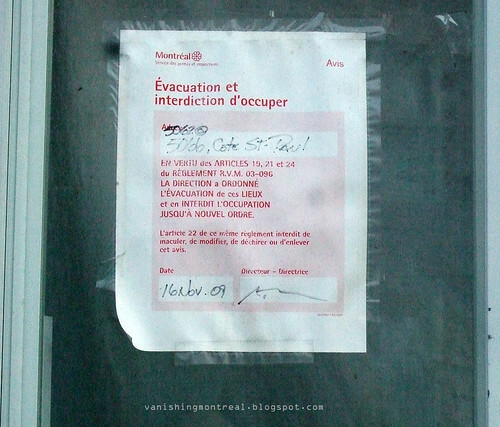 The notice above was made in Nov 2009 and I took this photo in late November 2010. 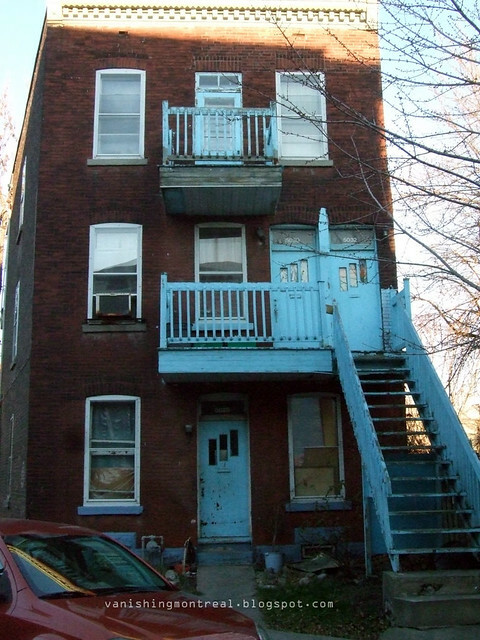 The notice was posted on the red brick triplex in the photo below but the small corner house is also part of that notice and it too will be destroyed. 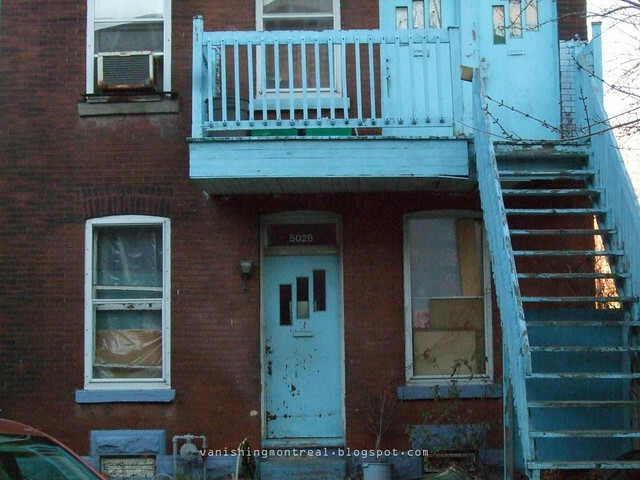 The house with the blue doors/railings had no notice but my source told me it was also set to be demolished. It looked abandoned when I took the photos. 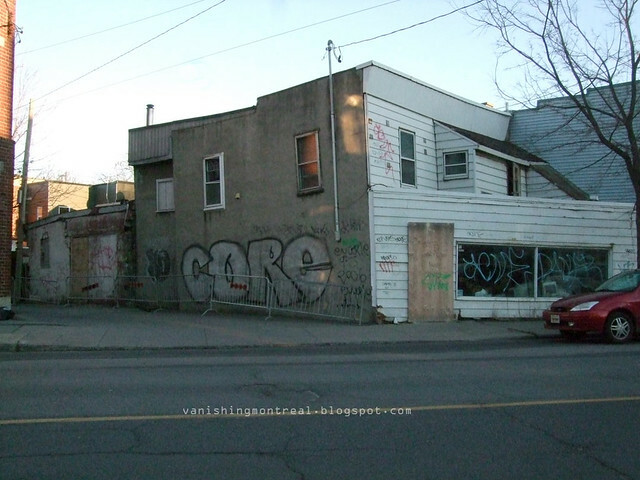 And the business in the two last photos is obviously dilapidated beyond repair and will be brought down. The brick structure at the back was being held by wooden beams to keep it from falling into the neighbors backyard. According to my source all 4 buildings are owned and managed by the same person, who simply let the buildings fall apart. 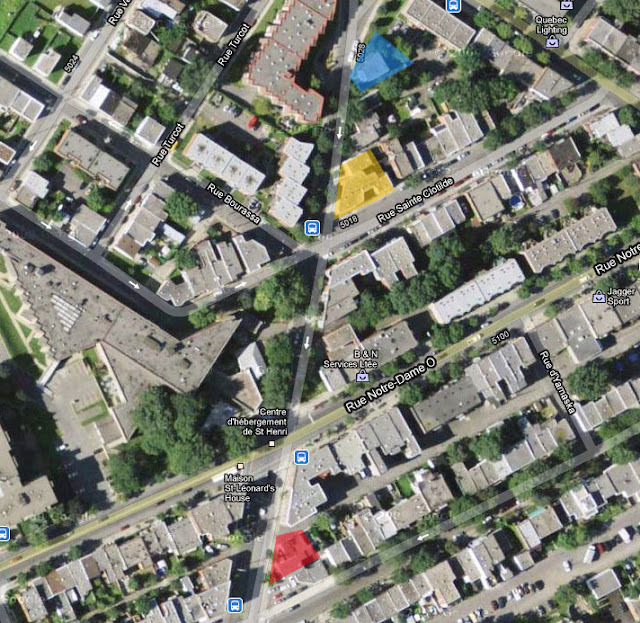 The triplex with the blue doors/railings is in blue; the two buildings at the corner are in yellow and the crumbling business is in red. Image: google maps. And now you can see a new 8plex rising (5068 Ch. 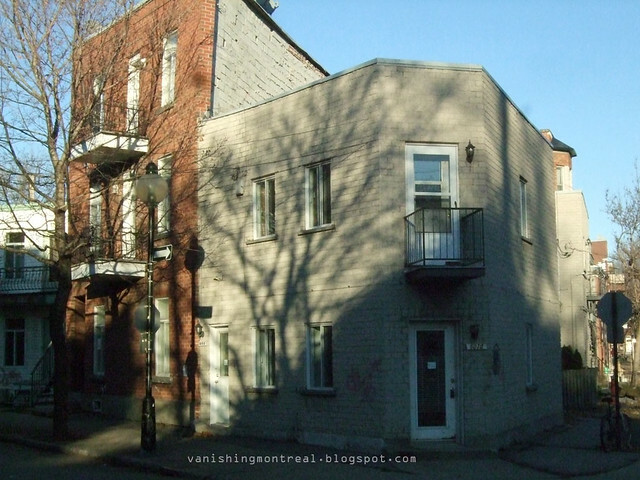 de la Côte-St-Paul, Le Sud-Ouest H4C1W6): 8 plex Revenue property for sale in Montreal downtown-new built 2016. only $ 600,000.00 down payment to obtain a property priced $ 2,648,000.00 with high Rental Income, no need to find other job for your living in Montreal.